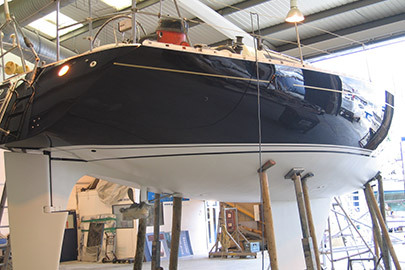 Based on the South Coast of England at the top of Portsmouth near the Solent, Superyacht Resprays are well placed to respray and refit your boat. Local facilities at Trafalgar Wharf, the old Camper and Nicholson yard at Endeavour Quay, Gosport, and nearby Southampton, are well equipped to haul superyachts and race boats for an essential refit. 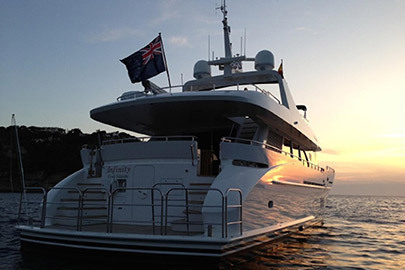 However, we are mobile and have worked all over the world on various projects both for design/build Companies, Private individuals and Insurance Companies and have been featured in many yachting titles and publications. We like to listen to your requests and deliver what you have asked, striving to be within budget and on time. 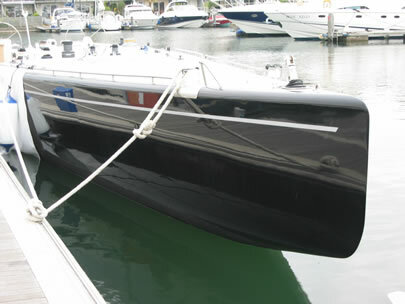 We are also equipped to deal with tenders and toys, smaller yachts and boats as well as woodwork and internal/external varnishing/custom GRP moulding. We value the confidentiality of our clients and although we have completed projects for many important people over the years, your business remains as it should, private. 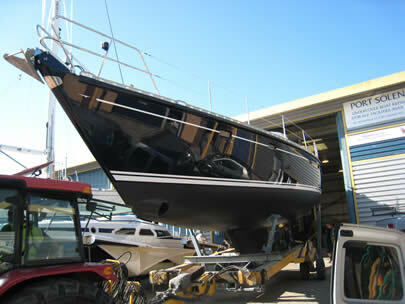 As a Company, we love nothing more than seeing a yacht in need of our work, revitalised after another successful refit. Superyacht Times article about Infinity.